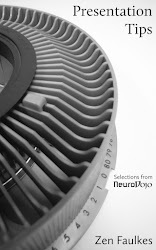 NeuroDojo: What did you think those film crews were doing in the lab? What did you think those film crews were doing in the lab? The paper blew it on presenting evidence. The authors then blew it on the trust, too. You have a movie about your research. And a book. Coming out exactly one week after your paper. This means it was in the pipeline while doing the research. This is a conflict of interest. Furthermore, the movie seems to be advocating one big conspiracy theory. It’s hard to read anything else into their claim that there is a straight line from the development of the atomic bomb in World War II to the creation of genetically modified organisms. I suppose I can see how to someone outside of science, this might seem plausible, but as someone working in one of those fields (biology), the background knowledge and skills needed to work as a physicist and a geneticist are rather different. Sort of like asking the photocopy repair guy to fix your broken toilet. Before I learned about these media projects, I thought they might have just done a poor experiment. The movie blows any chance the authors had of convincing me that this is an honest test of a scientific hypothesis. I call upon the editors of Food and Chemical Toxicology to require Séralini and colleagues to change the conflict of interest statement before the final version of record is published, to record and reflect that this project is featured in a book, and was extensively recorded for a film documentary. The paper by Séralini and colleagues that is in press in your journal contains the following conflict of interest statement: "The authors declare that there are no conflicts of interest." The online preview of the film makes it quite clear that the scientists were extensively interviewed for this documentary, and that film crews were actively filming the project and its results. Both of these activities are conflicts of interest for at least one of the authors, if not more. Lead author Gilles-Eric Séralini stands to make money from the sale of his book, and his appearance in the movie may also mean that he stands to benefit from publicity for that movie. I strongly suggest that the paper’s conflict of interest statement be revised before the final version of the paper is published to disclose the projects ties with these two projects. More additional, 25 September: Some funding sources also appear to be missing from the paper (Google translated English version). Hat tip to GMOpundit on Twitter. Where are data from the freakin’ controls? In this case I agree it does scream "CoI" but there are other much murkier cases, e.g. if I've written a "How to do Cognitive Behavioural Therapy" handbook and then I publish a trial saying CBT works, is that a CoI? Arguably it is, because if CBT didn't work, my book would be pointless... but it seems weird to penalize someone for writing! Neuroskeptic: That's a fair point. The movie motivated me much more than the book. The preview makes it quite clear that the movie spends a lot of time on about this particular project specifically. That the movie and book have basically the same title make me suspect that the book is much the same. Now that you've nudged me about this, I guess that the dividing line is something like this. Writing a book is one thing, but it's another to write a book that uses your own paper (engineered to be published more or less simultaneously as the book) as the primary focus of the book. 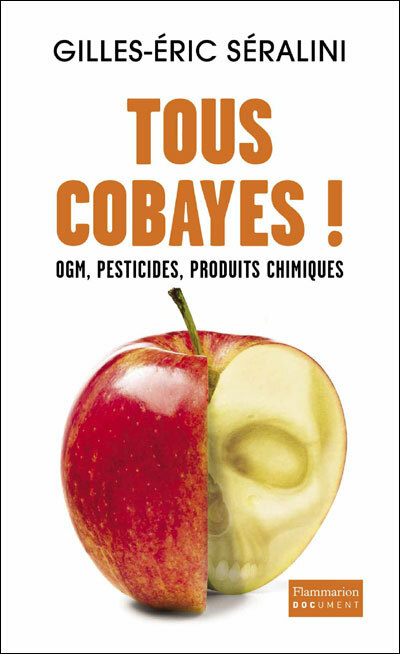 If the book Tous cobayes! does not prominently feature the paper by Séralini and colleagues, I will immediately apologize for jumping to conclusions. I still think the movie and the funding from Auchan alone still warrant a change in the conflict of interest statement, though. Could have just been a problem with photocopy repair. The research paper was done years ago, just couldn't print it off. And thus ends the worst devil's advocacy of all time. Ever.